A national supplier of elderly bathing products, Aging Safely Baths announces an end of summer sales event on handicap showers and hydrotherapy walk in tub appliances. 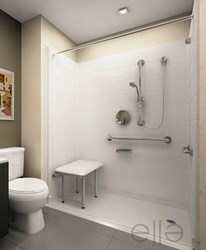 For this seasonal promotion, the company will be offering low threshold tubs and showers at drastically reduced prices. This is one of the biggest sales events of the year on handicap showers and hydrotherapy walk in tubs! A quality distributor of step in and roll in bathing appliances, Aging Safely Baths announces an end of summer sales promotion. The company will be offering client’s savings in excess of 30% off of their already low prices; on several of the best handicap shower and walk in tub brands. Finding a good balance between quality, price and budget can sometimes be a challenge. Specialty bathing products that are designed for the elderly and disabled sometimes can have tremendously high costs associated to them. 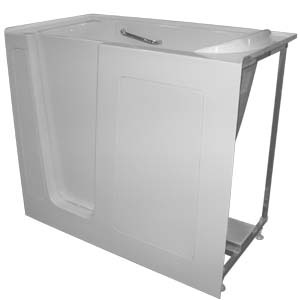 Aging Safely Baths is a company known for providing some of the best prices and deals on hydrotherapy step in tub products and low threshold showers, without sacrificing quality. In addition, several of their models are certified by third parties to help ensure quality standards are met. According to the company, several of the products that will be marked down are overstock and will be priced to sell fast. All of the appliances offered carry the absolute best warranties in the industry. The showers have a standard 30 year manufacturer warranty against defects, while the hydro tubs come with a minimum of a lifetime door seal warranty against leaking. Ultimately, there’s no such thing as a perfect product. Anytime an appliance has mechanical parts, there is always an opportunity for a failure or part to break. This is despite quality or brand name. While some inferior brands may have higher failure rates, all machines can potentially break. That is why customer service is one of the more important things to consider when making a substantial investment such as this. It’s hard to put a value on having that extra assurance knowing warranties are actually backed up with quick part drop shipping and timely repair service. Fortunately Aging Safely has customer care representatives that can help customers decipher the best elderly bathing product for their unique needs and be there to help assist throughout the entire process. Several of the wheelchair accessible showers come with wheelchair ramps which may assist a wheelchair bound bather in entering the appliance. Several of the models have thresholds as low as .5" and can go up to 3" and greater. The shower packages offered include necessary parts such as a Symmons shower valve, hand held shower wand system, 20 gauge vinyl curtain, rod, rings, padded seat with legs, ADA safety grab bars and a water stopper. These are multi-piece showers that can be assembled inside the bathroom, versus having to worry about a wide door width to get the appliance in. Furthermore, clients can select unique safety features which may help reduce the risk of a dangerous accident. One of the more intriguing devices actually helps regulate the water temperature. The temperature control device can be preset, so when the bather turns on the water; they don’t have to trouble with setting the desired water temperature. The accessory may be perfect for a bather with alzheimer’s, dementia or even a child. Having the water set at a predetermined temperature can potentially minimize the risk of scalding of an unsuspecting bather. Almost all of the products offered can be installed into a residential home by a licensed plumber or contractor. In addition, the company also supplies nationally to nursing homes, assisted living facilities, retirement homes, rehabilitation centers and other organizations that cater to the aging population and handicapped. 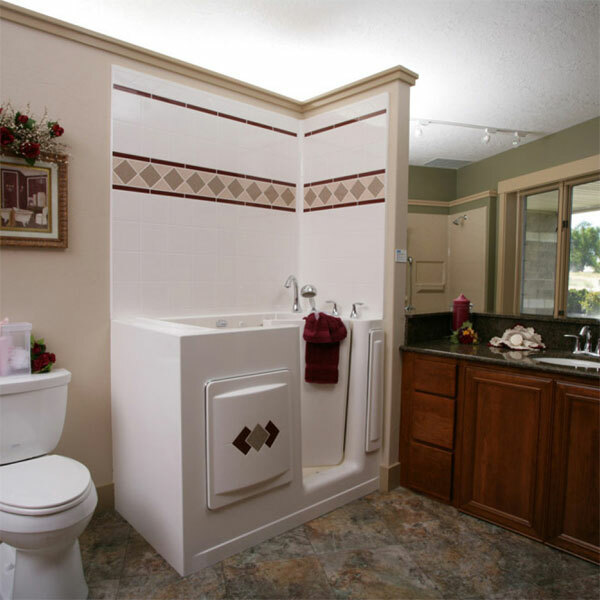 The company offers a wide variety of aging in place products ranging from low step in elderly tubs, wheelchair access showers, transfer tubs, bath lifts, safety grab bars and pillow seat cushions. 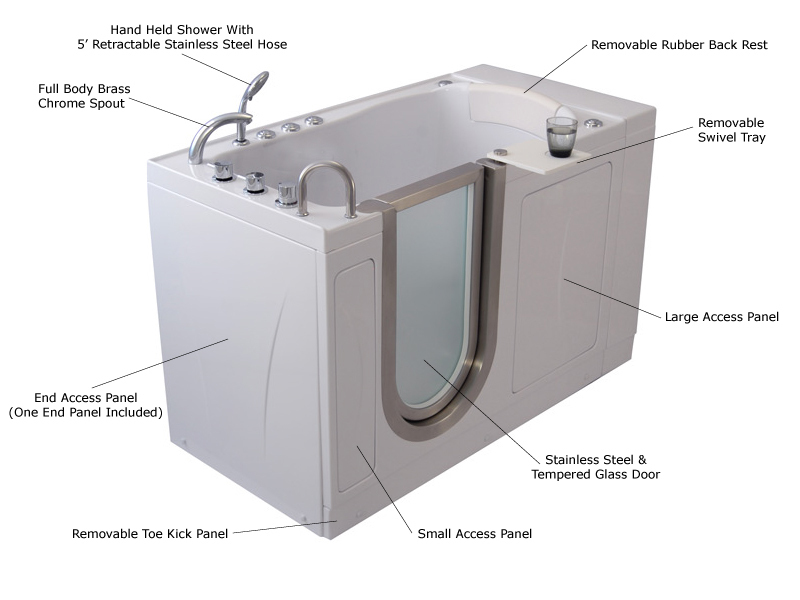 For more information please visit http://www.agingsafelybaths.com.